There may be affiliate links in this Cash for Patriots Program review, read the full disclaimer here. You probably know that most people would jump on the chance to gain some extra money that they are entitled to. You also probably know that there are a lot of online scams claiming to help you do exactly this sort of thing. 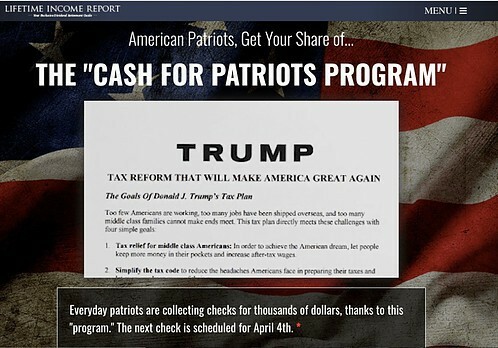 Well, the “Cash for Patriots Program” promises to be one of those programs that helps you claim back a lot of money that is rightfully yours. 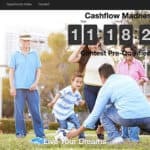 This Cash for Patriots Program review will help you decide whether it is a legitimate program and whether it is right for you. Who is the Cash for Patriots Program for? Any American patriot who would like to receive a check for up to $7,980. It’s possible to receive 24 checks like this every year! Hang on a minute, seriously? As you read every word of this Cash for Patriots Program review you will realise whether this is true or not. What is the Cash for Patriots Program? The program suggests that you can receive checks every month just for being an American patriot. It appears that all you need to do is put your name on some government list and sit tight in your home watching Games of Thrones re-runs, drinking beer and wait for these magic checks to appear in your letterbox. “But how is that even possible?” I hear you scream. As you keep reading you will learn who actually benefits from this tax reform and what the program really does. Well, at least not how Zach makes it sound. 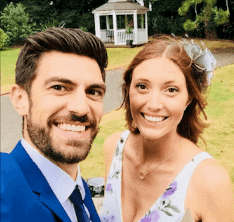 The checks that magically appear in your letterbox every month are from the companies profits that Zach Scheidt will recommend that you invest in. Basically, you will be investing in the stock market and looking for companies that pay good dividends. At the top of the page, there is the video that really makes you want to click it. Zach Rambles on and on… for an hour! But somehow manages to avoid ever really telling us what we’ll have to do. He repeats the same things about the tax reform that Trump has done to release $2.6 trillion. Plus, there are loads of examples of how people collect “up to 24 checks a year” and these checks can be up to $7,980 every month. Now that bit has you interested doesn’t it eh? Hey guys… anyone can access it! You don’t need to worry about how old you are or how much you earn. If it does then remember amigo… it probably is! Read “8 Ways to Spot an Online Marketing Scam” to see the other telltale signs. So you may have heard some of these false rumours about Donald Trump claiming that “deserving Americans will receive $612 stimulus”. Well, this program has nothing to do with anything about “deserving American’s” receiving a “stimulus package”. As you’ll discover it is to do with owning shares of companies. FYI Donald Trump (or anyone in the US government) never named an initiative called “Cash for Patriots Program”. It’s just a funky name that Agora Financial set up to make you want to buy Zach’s “Lifetime Income Report”. Speaking of which… what is in this lifetime income report? So Zach goes on about all the great things you will get from the “lifetime income report”. When you actually break that down your getting his book and the e-books. Everything else is just “stuff” that makes it sound like your getting more things for free. For a start there’s a massive number in the top corner when you go to pay… so everyone has a direct line to Agora Financials support team! Zach’s report will show you how to cash in on the theory that companies will now pay you a higher dividend due to Donald Trumps tax reforms. Simply put… the tax reforms that are mentioned will help companies bring money back into the USA. Currently, a lot of big businesses hold their money offshore due to the tax advantages of not bringing the money back into the country. Basically, you will need extra money to invest in the stock market to receive dividend payments. These may be sent to you in a check but it’s not how the video makes it sound at all. #5 – The Pressure to Buy Now! When you watched the video did you notice the different quality of the sound whenever Zach said “April 4th”? You can tell it was an after recording that was added in at a later date. This is because the date will change depending on when you visit the website to be only a few days or weeks ahead of where you are! There’s also the big red text saying you have until April 4th to act. 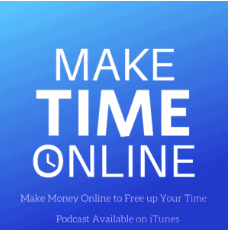 If you’re thinking, “well I better act quickly!” then this very clever marketing technique is working… Unfortunately, for Agora, it’s also a sign for make time online that the program is a scam if you don’t have a free trial or option to test it out! This is again another sound sales tactic that works on human nature. The platinum offer is smack bang in the middle and is in front of the other packages & is the “best value”. It not only offers you 1 more “special platinum report” (which it doesn’t EVER tell you what it’s about… it could be about dogs for all we know!) but is actually cheaper than the Gold Option. This doesn’t make the program a scam but it is not being open and honest upfront about what you are paying for. Remember that really long video? Well, hidden in the mix of the hour-long rambling was a claim that the ‘Cash for Patriots Program’ was also formally announced in a press release published on September 29, 2016, by Congress’s Joint Committee on Taxation. So about that… yeah, it doesn’t exist! I’m fairly sure they didn’t expect someone to do this but when you search the archives on jct.gov there was no press release date for September 29, 2016. There’s also no mention of this program on the website either. Agora is an independent financial advisory company which also owns Banyan Hill Publishing. They provide many financial newsletter publications on a subscription basis. Honestly so many! I signed up to another program about the stock market a few years ago and they literally bombard my inbox with emails. They continually contradict themselves and it’s impossible to tell what you should actually be doing even if you manage to read every one. They average between 7-10 emails (that are long) per day!… information overload or what!? They aren’t accredited by the BBB which is a big red flag. So it can’t be a sales video without some testimonials. Zach rattles through quite a few in the video… on nothing useful! The video is full of “testimonials” exactly like those above so I’m not going to put any more than these two. Honestly, this isn’t even me cherry picking these terrible reviews. Click the source links above to see for yourself. It’s actually quite concerning when you read some 75-year-old retiree saying that they didn’t even click the pay now button and money has been taken from their account. My Final Opinion- Is Cash for Patriots Program a Scam? So is the “Cash for Patriots Program” a scam? It will provide you with information on how to get checks in the mail throughout the year. But the whole sales video and pitch makes it look like you will have to fill out some tax relief form and then jobs a goodun! In actual fact when you join the program this is only the tip of the iceberg. You will then need to invest in stocks of certain companies that Zach is speculating on paying out good dividends over the year. Hence these companies will send you checks through the mail. It’s nothing to do with tax reforms and governments paying you your money back, which is how the video makes it look like. Hold up What is a Dividend? Well I’m glad you asked because at no point does the wasted hour-long video try to educate people on what they will be doing. A dividend is a sum of money that a company will pay its shareholders out of its profits. This can be quarterly or annually (usually paid as a per cent of your investment i.e. 5% return). So to really do this program you need to be aware of the risks and rewards of investing in the stock market. If you are interested in investing in the stock market, you can get all the information you need for free. I would highly recommend you check out “The Best Way to Earn Passive Income“. This will help to understand more about the stock market and what the smartest investors recommend you do. There is a strategy in here on how real people actually retire early and consistently beat the average investor. My chat with Grant Sabatier opened my eyes to how real people can do this. Check out “How to Earn $50,000 in 4 Days and Reach Financial Freedom w/ Grant Sabatier“. 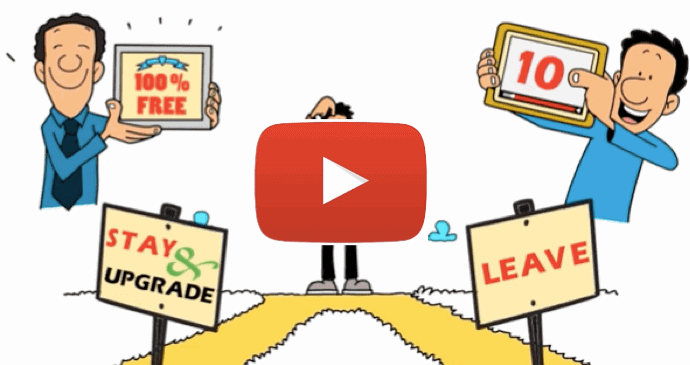 This is why creating your own online business can be a great way to earn passive income. You will learn more, which means you will be in complete control of your finances. And no you don’t need to be able to code! In fact, find out “How to Build a Website the Easy Way… in Under 30 Seconds“. In this “Cash for Patriots Program” review I hope you can see it’s not a scam. It will provide you with a strategy to get checks into your letterbox. But you will need to have a few thousand dollars to invest in the stock market, do your own research and understand the risks associated with the stock market. Show you how to receive some checks by filling in some tax reclaim forms. Send you checks without you having to put time and effort into learning the system and strategy. Send you money without you investing your own money. 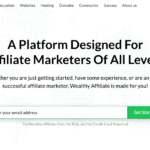 And as you are thinking about whether this program is right for you, you become really interested in knowing if there is a way to make money online without having to invest thousands of dollars. If you have any questions and I mean ANY questions about this “Cash for Patriots Program” review, please leave them below. If you have used or currently are a member please also add your own thoughts. P.S. If you are serious about making money online without having to invest thousands of dollars, then check out the short 1-minute video below about my #1 recommended program. Thanks so much that means a lot! I hope it helps people that are thinking about this kind of program as it’s so easy to buy on emotion rather than justifying with logic. Selling the dream to take people’s money is just plain wrong in my eyes.